We now carry the new Feel "Triple Threat" TiCN Wet Driver. Low spin, pefect launch..click here for information. Revolutionary does not begin to describe it. With five patents pending, Feel Golf's new "Full Release" grips are the first major golf equipment design change in over one hundred years! Literally, the first time you wrap your hands around our new "Full Release" Grip, you will know you are holding something different. The "Full Release" recently received USGA conformance and has five Patents Pending on its innovative design. Yet after you have played a round with this grip on all of your clubs and you understand how natural it feels, you will be amazed that someone has not thought of this before! 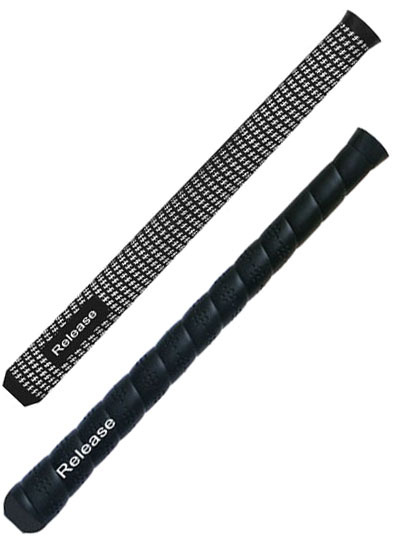 The "Full Release" grip comes in the Cross Line and Tour Wrap styles. 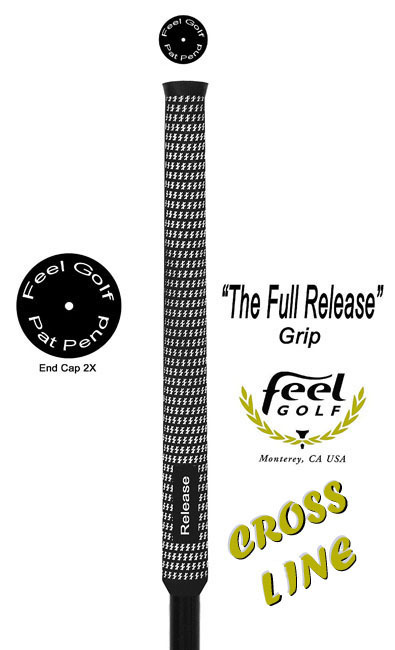 Click on the images below or the navigation buttons above to purchase a complete set* of "The Full Release" Grips from Feel Golf. * Each full set comes with 13 of these revolutionary grips. Employing the same logic and principles from other sports, Feel Golf has developed the revolutionary "Full Release" grip, which allows a golfer to fully release the club and attain maximum club head speed. The "Tapered Technology" design of this grip is thinner in the left hand and thicker in the right hand - similar to the grip of a baseball bat. The new shape of these grips allow the golfer to easily hold the club in the fingers of the left hand promoting a correct grip and allowing the golfer to release the club through impact, virtually reducing or even eliminating the dreaded slice that plagues so many of today's golfers. Now available in a crossline style or the new Tour Wrap style, now available. Full Release Crossline Full Cord. 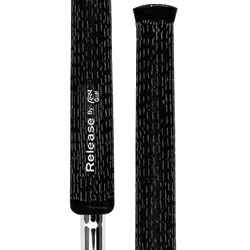 Soft Crossline feel with the addition of a full cord for added grip in damp conditions. Crossline Full Cord Individual grips. Includes 13 Crossline Full Cord Series grips, grip tape, and an instruction video. plus $9.95 shipping to lower 48.
thanks for the recommendation on the full release grip. The reverse taper in this grip makes it the best arthritic grip I have ever seen, and anyone who has trouble losing the club during there swing should give this grip a try. The reverse taper allows the grip to stay small under the left hand so as to permit the proper pronation and suppination needed for a good powerful release, but larger under the right hand allows the player to maintain a solid grip on the club so it does not wobble at impact. I think alot of guys that have switched to WINN grips and oversize grips will find these grips beneficial and they will far outlast the winn grips too.